Credit: Chatan W, et al. Eight years, more than 500 articles and no less 13 000 pages since its launch, Pensoft's flagship botanical title Phytokeys, celebrates its 100th issue. Among the open access pioneers in its field, the journal brings more than just numbers to the table when it comes to achievements and innovation. PhytoKeys' most notable milestones over the last 8 years are featured in the Editorial of its anniversary issue. Following its main objective to speed up research in the field of botany, in its 100th issue the journal features two rare species, previously unknown to science – Poa laegaardiana, a new grass species found on sandy, volcanic soil in Ecuador and Sindora stipitata, a new Leguminosae representative from Thailand. The issue also features an extensive taxonomic review of genus Ceratozamia (Zamiaceae) from Mexico, quick new insights into the taxonomy of tribe Euclidieae (Brassicaceae), based on evidence from nrITS sequence data and a taxonomic revision of liana genus Curarea (Menispermaceae), including a new species. Launched less than a decade ago in 2010, PhytoKeys main objective was to accelerate research and free information exchange in fields such as taxonomy, phylogeny, biogeography and evolution of plants, implementing the latest technology and innovative workflows. As a result, PhytoKeys was the first botanical journal to introduce a X?L-based publishing workflow, pre-publication registration of new taxa with the International Plant Name Index (IPNI), semantic markup and tagging of taxonomic treatments and taxonomic names, extensive data publishing modalities, and many more. With a total of 466 new taxa published since its launch (including 1 tribe, 26 genera or subgenera, and 439 species or infraspecies) the journal can confidently claim to be succeeding in its original mission to speed up the publishing and documenting of plant diversity in a world loss is occuring at unprecedented rates. While publishing new taxa in itself is a step forward for increasing our knowledge of plant diversity worldwide, PhytoKeys has always recognised the importance of developing innovative methods for dissemination and preservation of knowledge for future discoverability and re-use. This is why the journal's content is integrated with a significant number of global indexers and archives, such as PubMedCentral, CLOCKSS, Google Scholar, CAB Abstracts, DOAJ, Vifabio, BHL Citebank, to name a few. Complementing automated dissemination and archiving, PhytoKeys efforts in popularising plant science through PR Campaigns, has seen some significant success through the years. 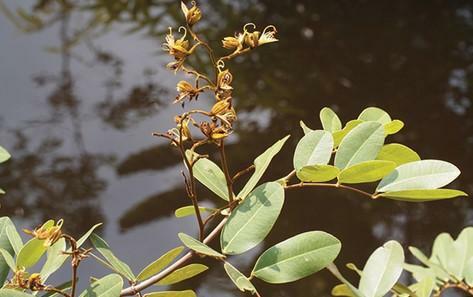 To date four species published in PhytoKeys have been selected in the top 10 new species nominated by the State University of New York College of Environmental Science's International Institute for Species Exploration (IISE): the flowering tree named as a new genus Sirdavidia solannona, the dragon tree Dracaena kaweesakii, the orchid https://doi.org/10.3897/phytokeys.65.8674 ">Telipogon diabolicus and the bush tomato from northwestern Australia, Solanum ossicruentum. "I got involved with PhytoKeys almost a decade ago because I believe in a world where information is shared openly and transparently for the benefit of all, especially information about the biodiversity of our planet. We work hard save what we care about, but can only care for the things we know about," shares Deputy Editor-in-Chief, Sandra Knapp, Natural History Museum London. "The innovative open access platform that PhytoKeys has established means all botanists, everywhere, can know about plant diversity as it is discovered, levelling the playing field for future collaborative action to conserve it. Plants matter to the planet, and open access to knowledge about them like that provided on the PhytoKeys platform is one key to their – and our – future." "When we established PhytoKeys our number one goal was to bring open access to the field of botany, while at the same time accelerating the ways in which knowledge about plant taxonomy is published and disseminated around the world," adds Editor-in-Chief, John Kress, Smithsonian Institution. "It has been our greatest pleasure to see the botanical community wholeheartedly accept these ideas and support us by choosing our journal as a venue for publishing their excellent research. I am sure that PhytoKeys will continue on this exciting and successful trajectory for years to come."